You are here: Home / Disney Cruise Line / So… what’s NOT included on a Disney Cruise? One reason (among many!) that we love cruising, is that you essentially know – and pay – the bulk of the expense prior to your vacation starting. Unlike other trips where cost of food, lodging, transportation, etc is unpredictable and perhaps requires strict budgeting, you can get on a cruise ship and spend virtually nothing, having paid everything in advance. That said, there are some “upgrades” or extra experiences you may choose to pay for. So what is and is not included on a Disney Cruise? The list looks long, but it’s exhaustive – and none of it is required to have a great time. Depending on where you’re visiting on your sailing, there are a number of different kinds of excursions you may find. Some are very inexpensive, just take a couple of hours, and are good for the whole family. Others are just for the more adventurous, or take up the whole day, and can cost more than $100 per person. 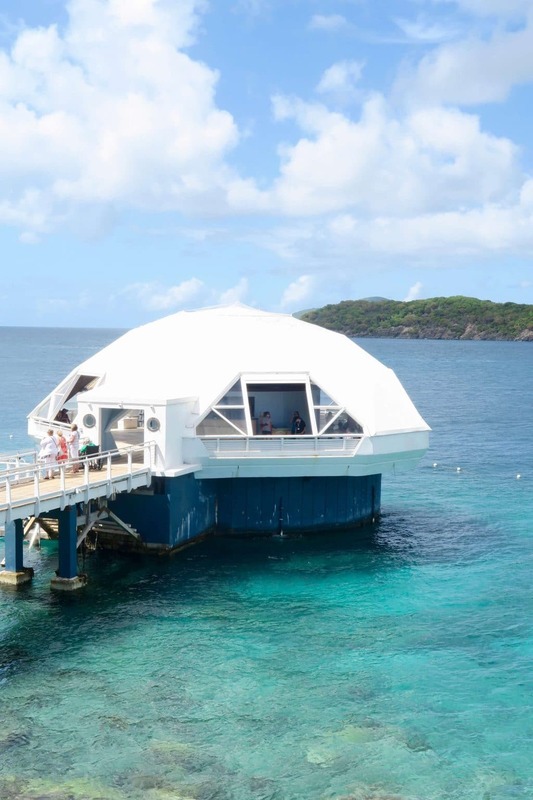 A family excursion to Coral World Ocean Park in St. Thomas was reasonable, but DCL Port Adventures can vary greatly in price. Many of us who have cruised before will recommend booking an excursion on your own (with a third party, versus as part of your Disney Cruise reservation). This often provides a significant savings, but you do assume any responsibilities and risks such as finding your own transportation or missing the ship when you’re done. I’ve experienced a few services in the Senses spa on Disney ships, and I have to say I don’t recommend them anymore. The services are fine, but they’re vastly overpriced (and I am the first to admit that my go-to place in my hometown is overpriced enough…), and the hard sell of products when your service is done is downright obnoxious. 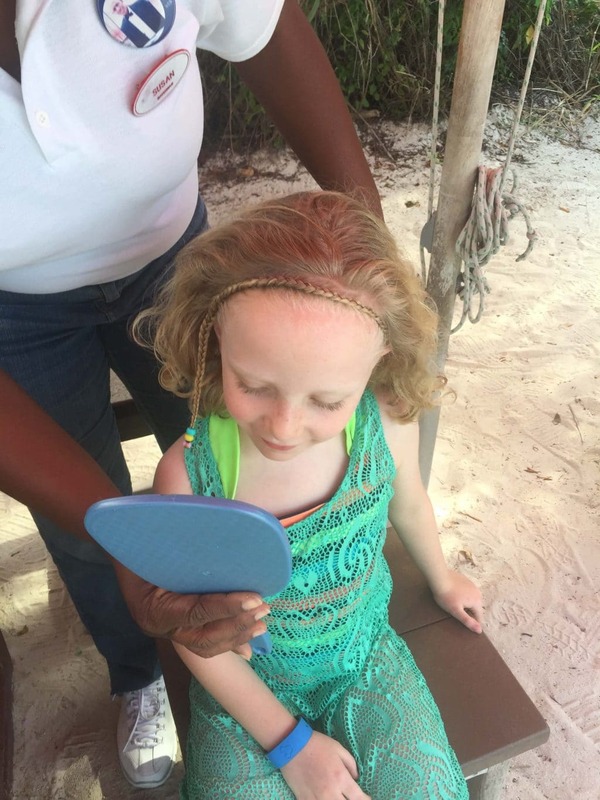 My daughters always get a braided “headband” or two to bring home from our cruise. 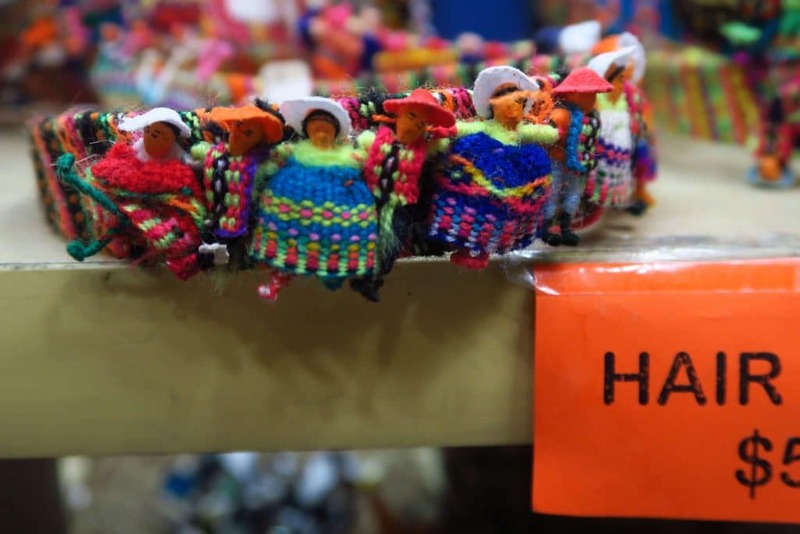 If you keep it simple, braiding services just cost a few dollars. Similarly, you will pay extra for hair braiding on the pool decks and on Castaway Cay. This is a really fun experience though, and literally just a couple of dollars if you stick to something simple! On our first cruise, my husband and I chose one print and purchased it to have a professional, nice reminder of our vacation. Today, we spend a few hundred dollars each trip on a CD of all the images, because this one is worth it for our family every single time. 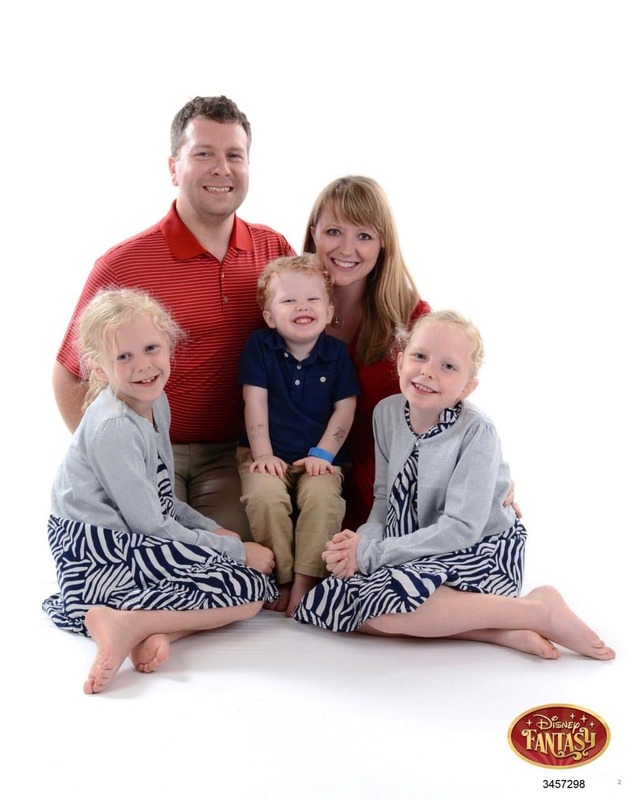 From pirate night and formal night to specialty cruises and these casual family pictures, we find the portrait CD from Shutters to be a “worth it” extra cost – but that hasn’t always been the case. The photos from Shutters are reasonably priced, but if you get your pictures taken a lot you’ll have a hard time deciding on just a shot or two. If you’re worried about it, just don’t get your photo taken. It’s not a requirement, nor is it a requirement to purchase any if you do visit the ship’s photographers. 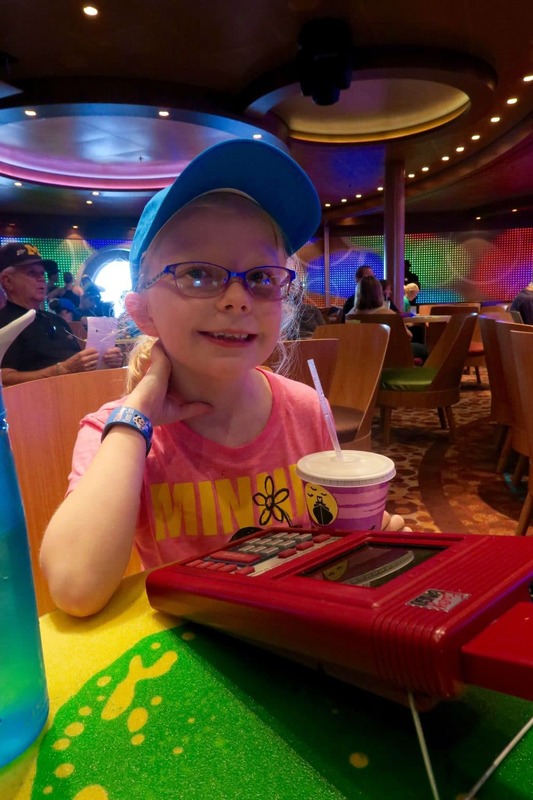 The kids clubs (Oceaneer Club and Oceaneer Lab) are, hands-down, one of the biggest things that separates Disney Cruise Line from other companies. They’re included in the price of your cruise, but a visit to the “it’s a small world” nursery will cost you a bit extra. At this time, the price is $9.00/hour for your first child, and $8.00/hour for each additional child. When our son was smaller we found this rate very reasonable, but only opted to use the nursery for one meal in Palo. It was a nice reprieve (and we’re huge fans of the time all three kids are in the clubs now!) but, in all honesty, the nursery isn’t nearly as spectacular as what you’ll find in the clubs for the bigger kids. The #1 reason cruising has become our favorite vacation is so that we can unplug. We may check in or share a picture or two with family back home if we happen to stumble on wifi while in port, but we never, ever purchase minutes to call or connect online. If you opt to do so, it will of course cost you – and the cost can add up quickly. Keep in mind that the ships’ intranet and the DCL Navigator app, which will allow you to look at the day’s activities, restaurant menus, and even text one another on the ship and on Castaway Cay. There is truly an abundance of food on cruises, and in many regards they are “all inclusive”. You can eat more than 3 square meals per day, can order room service, can choose multiple entrees at table service restaurants, make soft serve cone so big it barely stays upright, and go to the buffet as many times as you can while it’s open. That said, there are a handful of things that will cost extra, should you choose to indulge in them. Vanellope’s Sweet Shoppe was surprisingly affordable… even with this gigantic (adorable!) sundae. Room service is generally included (add a small tip, though, because those are not dining room servers or stateroom attendants! ), but cans of soda and bottled water will have a charge. Thankfully, Disney is one of the (if not the) only cruise lines that provides a 24-hour beverage station with complementary soda, coffee, and water. Speciality coffee drinks from Cove Cafe, smoothies from the smoothie bars, non-alocholic specialty drinks purchased in bars and lounges, and sweet treats from Vanellope’s Sweet Shop (on the Disney Dream) will all carry an extra charge, but we were pleasantly surprised just how reasonable the charges are. At Vanellope’s, for example, confections and ice cream sundaes are slightly cheaper than their counterparts at Disney Parks locations. One of the other tricky spots you’ll find an up-charge is at Preludes, the concession stands outside the Walt Disney Theater. As you enter the shows each night, you’ll be tempted (or at the very least, your kids will be tempted…) by movie theater snacks and popcorn. We usually bring our own candy from home (in the same “movie theater” boxes, which aren’t the most cost-effective but apparently taste better when you’re in theaters….? I don’t know, ask my kids), and have recently learned that the popcorn buckets are refillable, and can become very reasonable if you’d get popcorn multiple times anyway. Alcohol will cost extra on your Disney Cruise, but they’re one of the only cruise lines that will allow you to carry your own on (see policy for details and limitations). 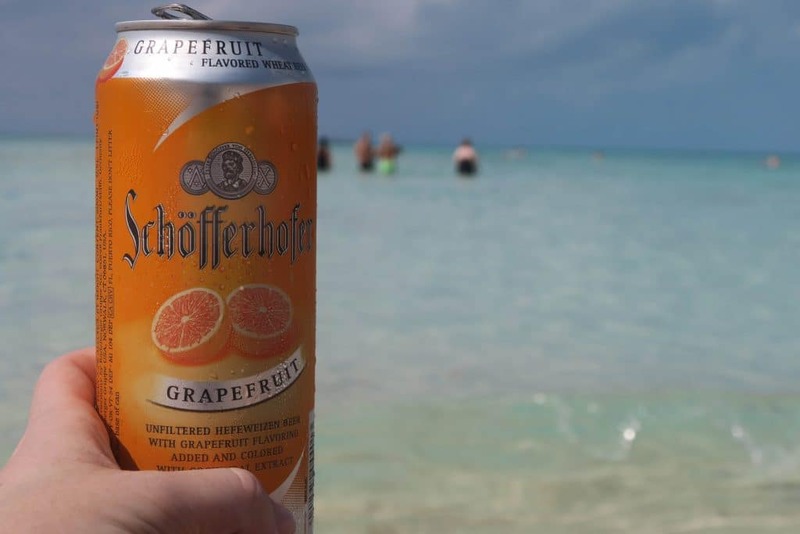 Finally, alcoholic beverages will always be an additional cost, whether you purchase them on the pool deck, in the dining rooms, on Castaway Cay, or at bars and lounges on-board. There is a “Drink of the Day” every day during your sailing, which is available at a lower cost that other mixed drinks, as well as a refillable beer mug plan. It’s also worth noting that the drinks of the day will appear to only come in plastic souvenir hurricane glasses as servers bring them around, but you can always opt for a regular cup at a lower price at the drink stations. Onboard each ship is at least one adults-only restaurant. At this time, brunch or dinner in Palo will cost $30 per person, and a meal at Remy will cost $55-85 per person. 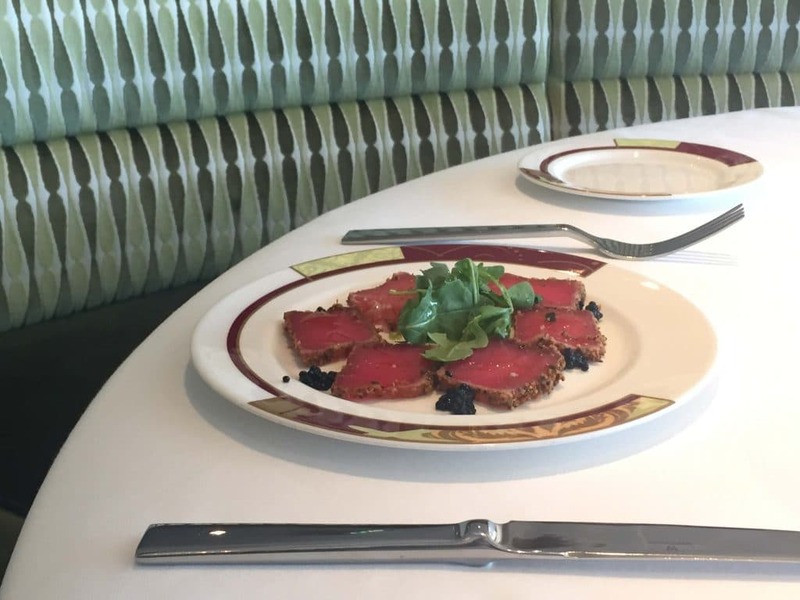 We’ve found dining at Palo is an extremely worthwhile investment, but you’ll have an equally delicious cruise if you don’t make that reservation! Unfortunately, when we first sailed Palo cost just $20 for my husband and I – and then we were hooked. Even at the current price, we find it more than worth it. It’s always one of the most lovely (and delicious!) dining experiences we have, anywhere. Sports simulators (a golf simulator, or a multi-sport simulator) are bookable online before you sail, in increments of either 30 or 60 minutes. We have yet to experience these, but have booked a slot for our upcoming trip. Half an hour is less than $20, so we’ll be happy to report back to you soon! I do know the golf simulators are very popular, so if you’re interested in booking one of those time slots, be sure to do so shortly after your booking window opens up. On each ship is also an arcade, which quite honestly we’ve never even been inside. I do know that cashless game cards can be purchased in increments of $10, $15, and $20 – and that the games are pretty much exactly what you’d expect to find in an arcade. If you’re familiar with these options in the Disney Parks, you’ll know what to expect on the ships. Princess and Pirates can take part in these extra experiences to get a royal treatment or get ready for Pirate night. A variety of packages are offered for each service. This one may seem like an obvious inclusion. Of course you might want a souvenir (or twenty), but there are a few additional temptations unique to cruises. If you have any interest in duty-free items such as liquor and fragrances, seemingly great deals on jewelry, etc you may want to budget extra for these items. Also consider what you’ll spend if you want to eat a local restaurant in port, or ship anything home. Also note that each of the ships has at least one art gallery with really beautiful pieces, and plan accordingly if you think you might want a new painting or other piece of artwork. Disney Cruises have taken the giant space on most cruise ships that is dedicated to a casino, and turned it into the aforementioned ground-breaking kids club areas. Also in the place of casinos, they have added family-friendly bingo options throughout each sailing. I understand there is quite a large sum of money to be won sometimes, but we just go for the fun. If you’ve been, you know exactly what I mean – from cast member dances, to lots of random swag, to inside jokes you catch only if you participate in a Bingo round or two. We usually play just a session or two of Bingo on our Disney cruise, and not every trip. The entertainment value is worth it, now and then, even if we don’t expect to win. These Bingo sessions do cost extra money and we’ve never won anything substantial, but for many families it is worth the cost on entertainment value alone. This is probably the single biggest charge we have for which we often have little or nothing to show for it… which also means it’s one of the first things we cut if we want to save some money. It’s still super fun though, if you want to account for it! At the end of your stay, you will be billed an automatic amount of gratuity for your dining room team (server, head server, assistant server) and your stateroom attendant; you can change these amounts as you see fit by going to guest services (but please keep in mind how hard they work for you, if they have!). You will also want to be aware that it is customary – though of course not required – to tip the porters who take your luggage as you board and disembark the ship, the room service valets, and any transportation or services you have outside of official DCL Port Adventures. 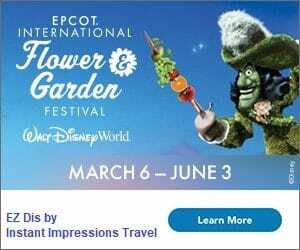 The Orlando International Airport (MCO) is approximately 45 miles from Port Canaveral, which is 60 miles (in an entirely different direction) from the Walt Disney World resort. If you’re used to transportation being simple – and all-inclusive – in the WDW area, you may not think about getting to and from the port. There are several options, including DCL-arranged charter buses, private shuttles, Uber/Lyft/Taxi services, and rental cars. We have taken a variety of options, and truthfully just have to crunch the numbers each trip to see which makes the most sense with our itinerary. Keep in mind as well that if you drive and/or rent a car, you’ll want to return a rental to a nearby location or plan to pay for parking fees through the Port Canaveral website. Wow, that’s a lot of things that AREN’T included on a Disney Cruise, isn’t it? That’s not even touching the magical memories you’ll make. So yes, a Disney Cruise can definitely add up if you aren’t paying attention… but it can also be an incredibly fun trip for just a bit more than the sticker price. Our first cruise we saved for a while, did no excursions and purchased no alcohol, bought just a print or two from Shutters, and paid only gratuities at the end of our sailing. Yet it was still so magical we keep going back. Great overview! I guess it does seem like a lot but you’re 100% right, what you do get is so significant. We’ve done a lot of cruising on a lot of different lines, and I think this was the least we’ve spent on board in a while. Why? Soda included, no casino, free ice cream, etc. Oh, that’s a great perspective! I always think it’s “worth it” just because it’s truly an unparalleled experience… but it’s super interesting to note that the onboard cost was noticeably less! Those little things really can add up! 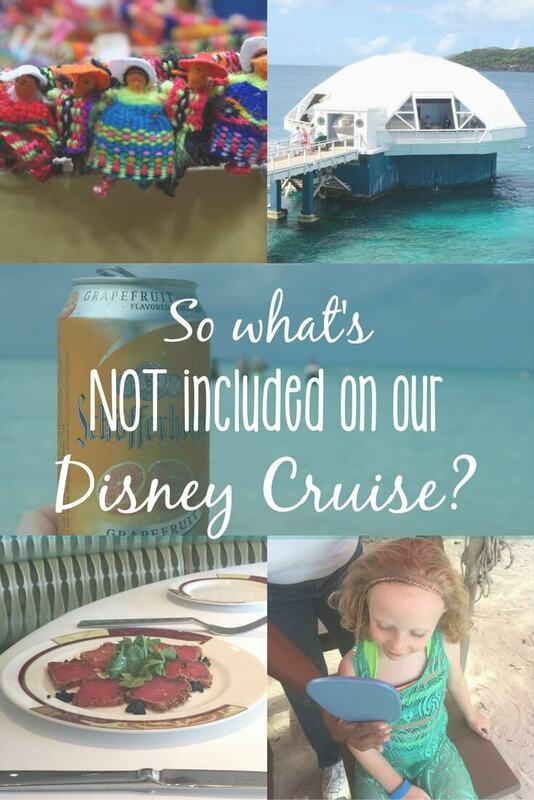 I guess I wish there were a few extra things included with Disney that maybe other cruise lines don’t usually include just because they are so much more expensive. Actually the thing that really got me was that they show movies in the movie theater for free (which is awesome!) but charge extra for popcorn! Really, most of the food items on the ship are free but you can’t give me some free popcorn for a movie? lol I was just surprised by that one. Great breakdown. I think our biggest out-of-pocket splurge on the cruise has been at Shutters. We found the photo book to be a good value as it allowed us to choose many of our pictures and wasn’t quite as expensive as the CD. I believe it was around $150 for the book which allowed us to choose 35 or so pictures. The CD for all our pictures would have been more than twice that amount! YES! On our five cruises AFTER the first, we’ve bought the photobook twice and the CD three times. For us we just see how many we’d buy. If it’s more than that 30 or whatever that fit in the book, we get the CD (or actually, now it’s a USB drive!). 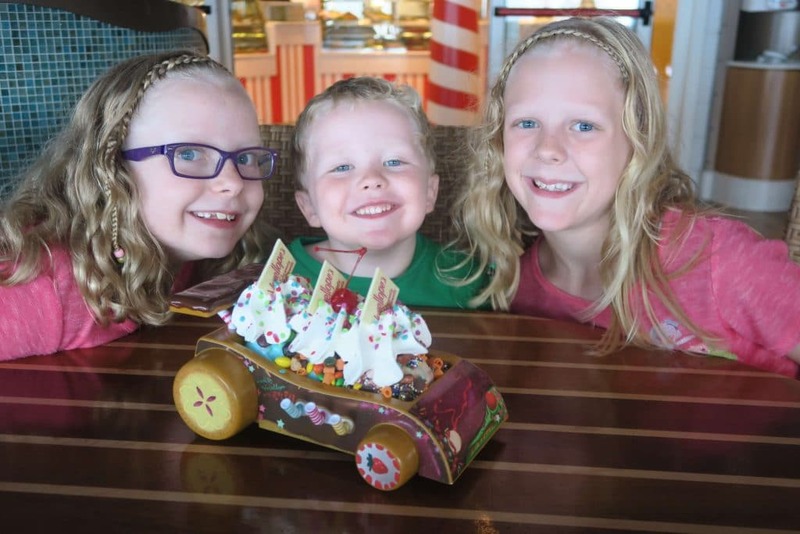 With three kids, our 7-night cruises tend to have enough pictures with characters, in addition to all of the family pictures in the atrium, to make the full digital package worth it. The book is an awesome option, though! This is so comprehensive- I wish I had read this before my recent cruise! We consider a Disney Cruise a luxury, so we treat it as such. I chose my extras wisely, and was completely thrilled with the experience. And you are so right, Palo is a must! !